Massachusetts Governor Charlie Baker has until the middle of next week to take action on the legislation. 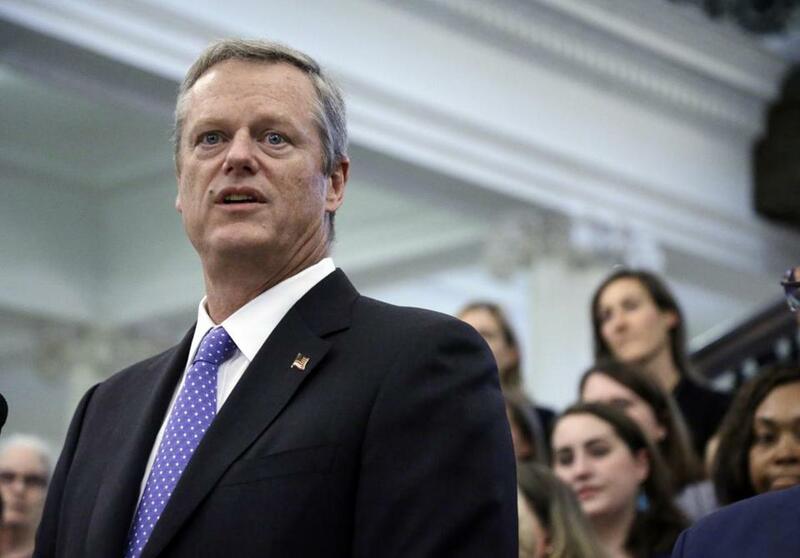 Charlie Baker has pledged not to raise taxes or fees. But a bill regulating ride-hailing services like Uber and Lyft sent to his desk this week includes a 20-cent per-ride “assessment” — a fee — on the companies. So what’s a Republican governor to do? Baker, who has until the middle of next week to take action on the legislation, has been coy about his stance. And senior adviser Tim Buckley said the governor is still reviewing the bill. Asked whether approving the assessment, which is prohibited from being passed on to consumers and drivers, counts as raising a fee in the governor’s view, Buckley did not directly answer the question. Instead he referred to comments Baker made to the Globe in a 2015 interview days before he took office. In that interview, Baker told the newspaper that his pledge to not raise taxes or fees was “pretty much” irrevocable. But he offered nuance. “What do you think?” a Globe reporter asked in response. “I think no,” Baker replied. Buckley this week also noted the governor has long spoken about leveling the regulatory playing field in industries between the old, such as taxis, and the new, such as ride-hailing services. The fee, which is expected to generate $3 million to $6 million annually, is controversial in some quarters because, for its first few years of existence, one-quarter of the money generated would go to the taxi industry, which has seen its business model eviscerated by the app-based mode of transportation. Another quarter of the fee revenue would go to the state, which would take on new regulatory responsibilities. And the rest would go to cities and towns, based on the number of rides that originated in each, for roads, bridges, and other transportation infrastructure. Lawmakers behind the legislation said the assessment makes sense. He said his view of “the cab industry is they do need to step up and provide better service, but they, a regulated industry, were competing with a new industry that was unregulated,” so it’s only fair that taxi drivers and medallion owners get a little help. But the fee is relatively unique, according to industry officials who say Massachusetts would be one of just a few states with a per-trip fee. A handful of cities, such as Chicago, also impose such a fee, they say. And it raises concerns for free-market advocates. Jim Stergios, executive director of the Pioneer Institute, said the proposed fee is unusual. The legislation includes a provision ending the stream of fee revenue to the cab industry after five years and axing the whole fee after 10. Uber, Lyft, and similar companies provide a smartphone app through which riders can hail a car, often a driver’s own private vehicle, and automatically pay for the journey through a credit card or debit card on file. Popular low-cost services UberX and Lyft Line are often less expensive than a cab going a similar distance. Fares are calculated through the app, rather than on a meter. In addition to the new fee, the ride-hailing legislation mandates background checks for drivers but does not require fingerprinting. It would also allow drivers to pick up passengers from the Boston Convention & Exhibition Center and, with the right permits, at Logan International Airport. As for the governor, his opposition to taxes and fees is slightly less than immutable. In 2015, he signed a budget into law that included a small fee added in by the Legislature. It appended a $1 surcharge to fees for admission to, and parking in, the Douglas State Forest. At the time, his spokesman emphasized the governor did not propose the measure and adopted it at the request of local officials.